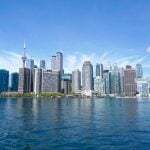 Home » Destinations » Canada & United States » Insider’s Guide to Best Vegan Restaurants in Victoria, B.C. Looking for the best vegan restaurants in Victoria? 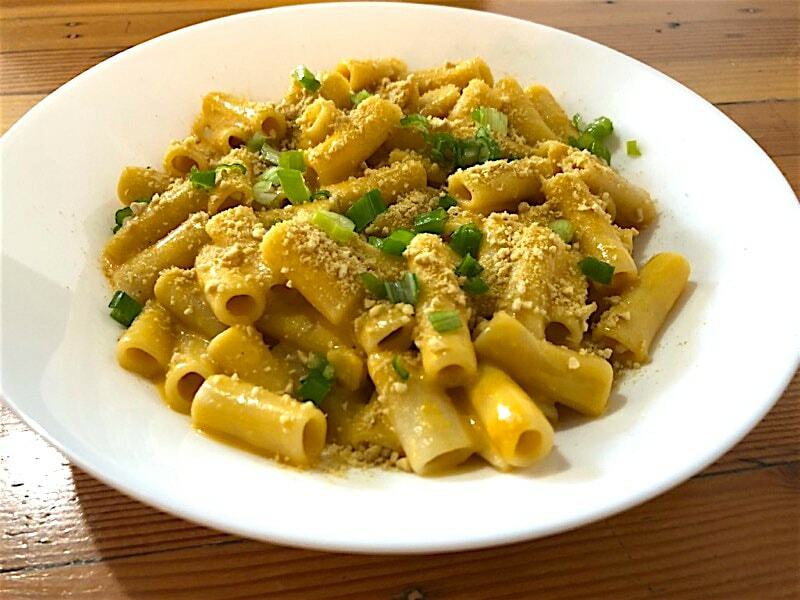 Read on for some tips from the Vegan Vacationista on fabulous places to enjoy vegan food in the capital of British Columbia. It’s no secret that the west coast of Canada is known for its feel-good hippie nature. That means that eco-conscious products and veg-friendly foods are very easy to find, especially on Vancouver Island. 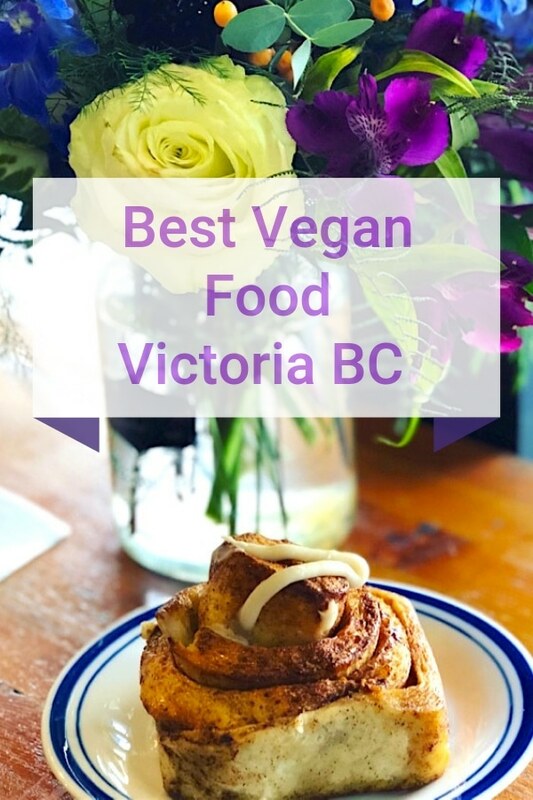 From the best vegan breakfast to afternoon tea fit for a queen, here are my five top picks for the best restaurants where you can eat vegan in downtown Victoria! 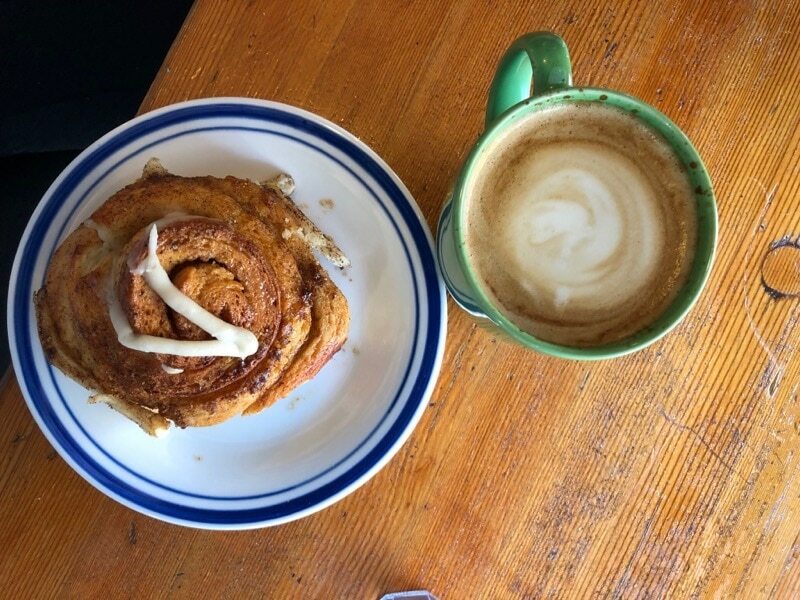 First and foremost, let’s start off with my favorite café, Fern Café and Bakery. Serving up organic award-winning coffee from Fresh Cup Roastery Café, this newcomer just opened up shop a couple of weeks ago. In that short amount of time, the local community has embraced Victoria’s first all-vegan café with open arms. With binge-worthy pastries such as homemade vegan Twinkies, Poptarts, and s’more cupcakes, who could blame us? And let’s be real, life doesn’t get much more exciting than freshly-baked cinnamon rolls, does it? It seems Fern Café and Bakery has tapped into the overwhelming demand for vegan and gluten-free treats in the area, setting up shop right next to another excellent local favorite, Cold Comfort Ice Cream. With such delicious sweet options within walking distance from my home, I might as well say goodbye to my savings account and my waistline for that matter. If you’re in the mood for something more substantial in the morning, Fern also happens to serve up Victoria’s best vegan breakfast. When it comes to breakfast joints, vegan options are often available, but great vegan breakfasts can be very tough to find. Fern’s tofu scrambler breakfast with homemade veggie sausage, toast and hash browns is exactly what I’m looking for in a weekend brunch out with friends. Next time, I might just try a stack of berry pancakes with coconut whip cream. For lunch, they have a short list of healthy items, such as sausage and mozzarella paninis, daily soups, chilli, a veggie burger, etc. They also have an interesting selection of rotating weekend features such as Cheese Burger Crafty Mac, a veggie burger mac and cheese complete with pickles and a big-mac style sauce. Other vegan weekend finds can include vegan pizza created of Italian flatbread made from scratch topped with olives and fresh basil. Insider Tip: For early-risers on a budget, stop in any weekday from 7-10 am for a drip coffee and muffin for $5. Fern also prides themselves on being 100% palm-oil free. Welcome to the neighborhood, Fern! Is it just me, or does a lot of the best vegan food come from smaller local shops with limited seating? One of the best restaurants in Victoria for vegan food, Superbaba is a prime example of this phenomenon. Bright and modern, this counter restaurant from the same owners of the legendary Taco Fino (FYI Taco Fino’s tempura yam tacos are also a must-try). This humble establishment has a little something for everyone. 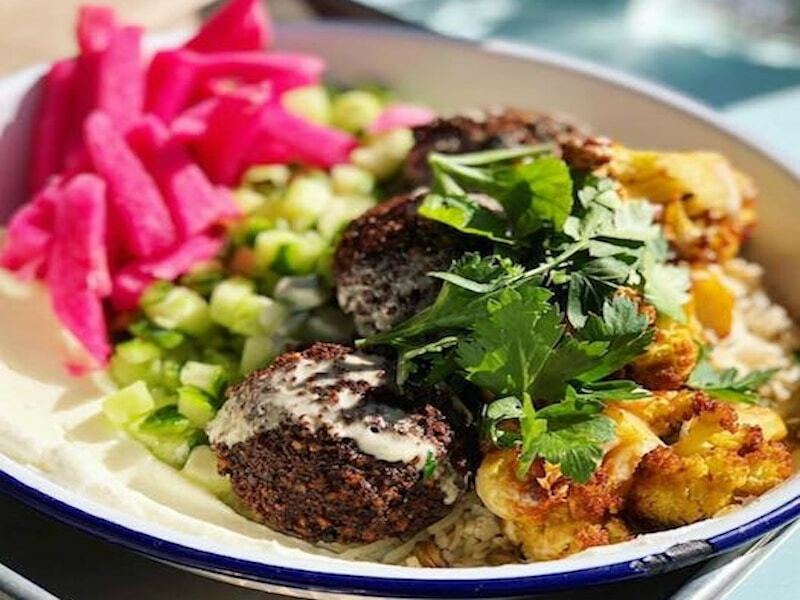 They cater to carnivores with chicken or steak pita sandwiches and bowls, but their claim to fame is their falafel pita which is vegan by default. Complete with fried cauliflower, tomato, pink pickled cabbage, tahini, and “shug” (a Middle-Eastern cilantro-based green garlic sauce), the freshly-baked pita sandwiches are large enough for a meal on their own without an appetizer. I learned the hard way that I like mine with hot sauce on the side because I can only handle heat in tiny doses. If you’re really hungry, the hummus and home-baked pita or fried cauliflower with tahini are fool-proof starter choices. If you are the kind of vegan that eats honey (controversial, I know), the apple pie baklava is there for you as well. Insider Tip: Superbaba has a Happy Hour (3-6 pm) on local draught beer and a discount on fries ($3.50). 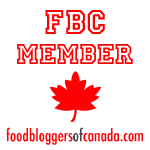 They have recently opened up a food truck in Vancouver so be sure to check it out if ever the chance arises! Have you ever been to a vegan butcher? If not, you are not alone. They are like rare gems waiting to be found in select urban centres around the world. Lucky for me, we have the Very Good Butchers take-out counter right downtown, located in the Victoria Public Market. Just like a real butcher, you can purchase hand-crafted “cheese”, “sausages” and other “meats” for home. The only difference is that this place prides itself on butchering beans! The crispy “chicken” caesar wrap is always nice for a light lunch on the go. If you’re in a junk-food mood, the southern fried “cruelty free chicken” or the “very good poutine” are solid choices too. I especially like that the “meats” are made in house, rather than just serving frozen chicken strips which I could have made at home. On gloomy days, who doesn’t love a little comfort-food like a rack of seitan ribs with a side of macaroni salad. If you come in on a Saturday afternoon, be prepared to wait a bit, this place can get slammed for such a small staff. On the plus side, the place is busy for good reason, the service is friendly and the food is 100% vegan and organic. It’s totally worth the wait. And speaking of community support, this tiny new company just raised over $400 000 on a crowd-funded campaign as they are seeking to expand in order to keep up with such a high demand for their products. They have also been recently featured on Dragon’s Den. I predict big things for this little deli counter, and I’m looking forward to seeing what these guys do next. Date night? Head directly to Be Love. This cozy sit-down restaurant is easily the most well-known vegetarian restaurant in Victoria, and for good reason. The staff and atmosphere here are both lovely, and it always feels good to dine at restaurants that support local farmers. All dishes on the menu are vegetarian and dairy-free, only a few containing egg, which are locally-sourced from a farm with happy chickens the owners claimed to have checked out themselves. Long story short, if you care about eating ethically, this is the place for you. What I adore about Be Love is that they serve the classics, such as a big hearty bowl of macaroni and cheese. It may be a little on the pricier side, but the portions here are quite large and the decor is beautiful. This is the place to go when in the mood to “eat clean”. I’ve heard many people say that food here is of high enough quality to satisfy vegan, gluten-free, vegetarian or meat-eaters, which is never an easy thing to do. Kudos to that! 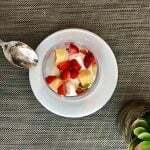 Insider Tip: Unless you are into an ultra-healthy granola lifestyle (which I personally am not) I would avoid the homemade soft-drinks and cocktails. Even after adding extra simple syrup to the cola and one of the cocktails, they tasted too gingery for my liking, but to each their own. Be Love is so popular, it’s usually best to make a reservation for larger groups. When most people think afternoon-tea, they think fine china, scones, tiny-cucumber sandwiches, and decadent desserts. With butter-filled pastries, this age-old British-tradition might seem far from vegan-friendly, but surprisingly, the Fairmont Empress Hotel is able to accommodate 32 different dietary restrictions (sugar-free, gluten-free, vegan, whatever your heart desires). I highly recommend the Afternoon Tea at the Empress for a special occasion or a girls day out! They have a live pianist in the lounge, incredible vegan desserts and fabulous mimosas. Read more in the review of Vegan Afternoon Tea at the Fairmont Empress Hotel Victoria. Overall, I have found a vegan lifestyle in Victoria to be exceptionally easy to maintain. With so many outdoor activities to enjoy on Vancouver island, I’m happy to promote restaurants that keep us all healthy, happy and full of energy. Do you have your own top vegan picks in Victoria, BC? Be sure to let us know in the comments below! Enjoy this Post? Check out other Vegan Restaurant and Local Food Guides by the Vegan Vacationista. All photos by Jessica Percy-Campbell unless otherwise noted. We have scheduled a trip to Victoria for our 11th anniversary in the fourth week of July 2019! This is great. And I love your photos! That’s awesome Carol! Let me know if you have any questions about the area. 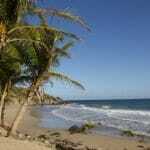 You will love it here, so much beautiful nature on the island. We are not vegans but always enjoy good food no matter the cuisine especially when fresh and locally sourced. Your photos are yummy! We love good breakfasts as well as afternoon tea. A visit to Victoria will have to include these restaurants . Thanks for the tips. Thanks for reading, Lori. Victoria is all about locally-sourcing produce, so that’s always nice. Yum, that falafel looks so delicious. Definitely going to keep these restaurants in mind if and when I visit Victoria. I just bought a new vegan cookbook, so trying to eat more healthful. That’s great, which book did you get! Superbaba falafel is amazing! They also have a food truck in Van. What a great post! 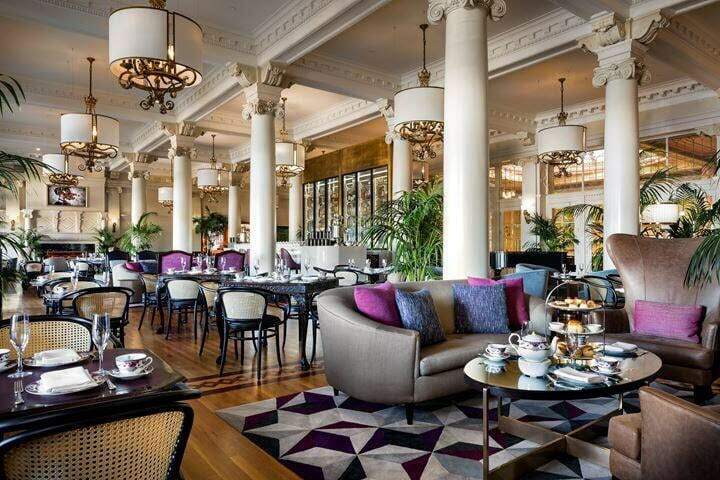 I would never have imagined a vegan afternoon tea in the iconic Empress! Boy, times have changed. 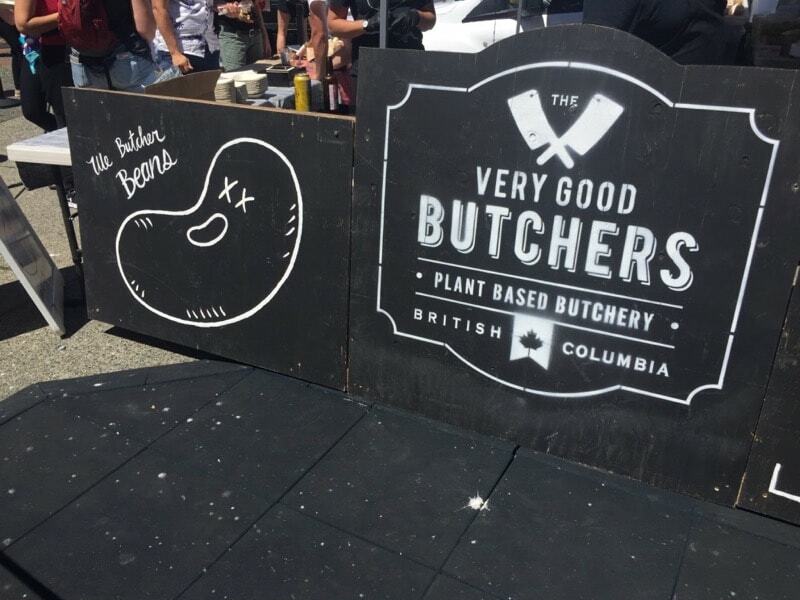 Everything looks so delicious, but a vegan butcher? I would love to try their barbecue and kudos to them for having a problem keeping up with demand. Have tucked this great list away for my next trip to BC!